Brand: Wilton 415-8121 Units: 150/pkg. Dimensions: 2" base x 1¼" wall Set includes yellow dots, pink, lime, and multi-colored stripes. There are approximately 25 lime, 25 pink, 50 dots, and 50 stripes. 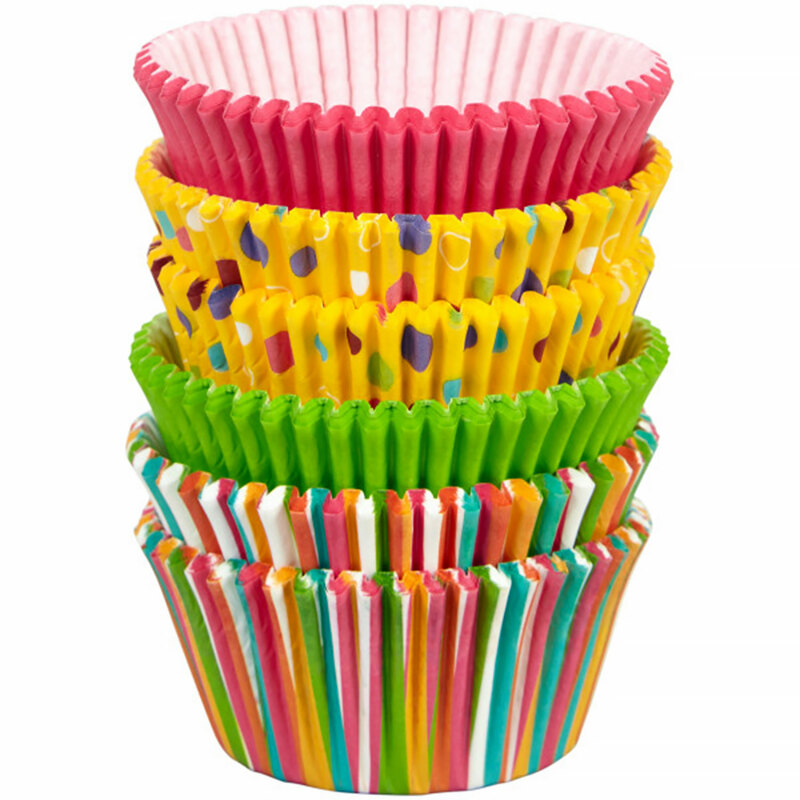 Set includes yellow dots, pink, lime, and multi-colored stripes. There are approximately 25 lime, 25 pink, 50 dots, and 50 stripes.